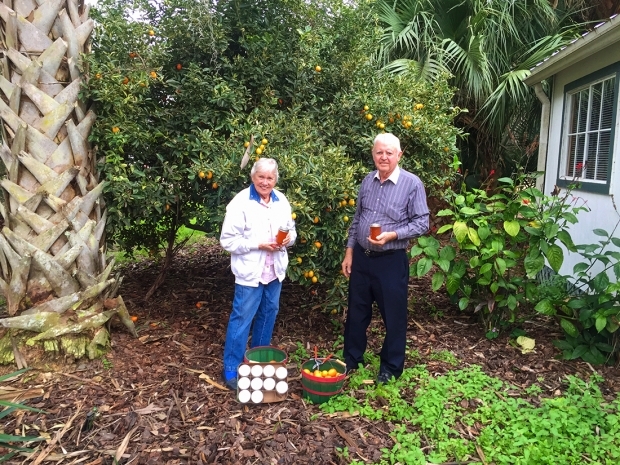 In February 2016 Jack and Joanne delivered our first batch of homemade limequat marmalade for the new year. They also picked more fruit for the next batch. They promise to put on a marmalade cooking demonstration for our Fair Oaks crew that we can video tape for our visitors. We can hardly wait! In the meantime, we are enjoying the new batch. When you visit, remember to ask for a jar.